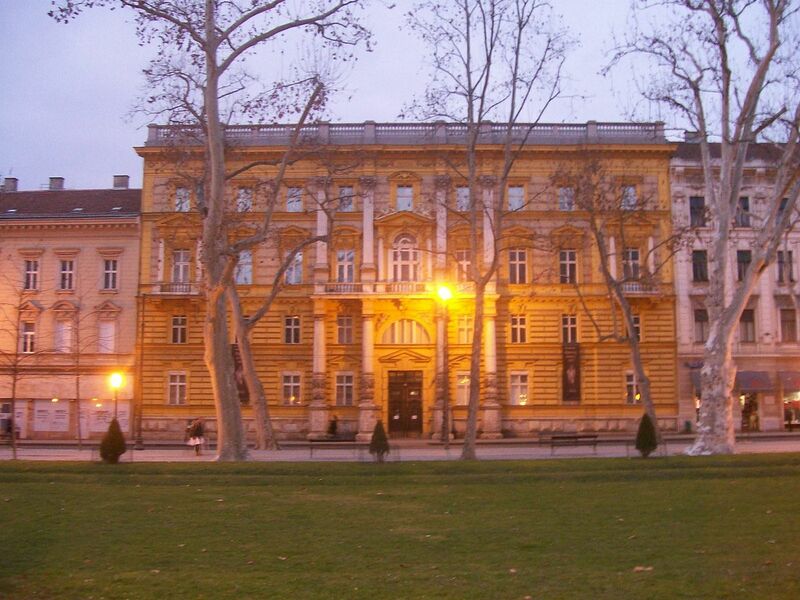 The Archaeological Museum in Zagreb is one of the direct successors to the former National Museum, the oldest museum institution in the Croatian capital, founded in 1836. This first National Museum was opened to the public with an exhibition held in 1846 in what was then the National Hall, a luxurious mansion in the Upper Town at 18 Opaticka Street, once the property of Count Dragutin Draskovic. The first curator assigned to care for the museum was Dragutin Rakovec, followed by Mijat Sabljar. The administration of the museum was taken over in 1869 by Sime Ljubic, the first to have been an educated expert, followed by the first professional archaeologists, Josip Brunsmid and his successor Viktor Hoffiller. It should be emphasized that the impetus to found such an institution in Zagreb, as well as the first significant initiatives to actualize this project, definitely occurred earlier than the cited dates. To a great extent they can be attributed to a specific atmosphere created by members of the Croatian Rebirth movement. The "Illyrians", as they were known, saw in the establishment of an institution of this type both advancement and affirmation of the Croatian cultural identity as a whole. Their leader, Ljudevit Gaj, in a special proclamation from 1829 called on the public to cooperate in gathering contributions both in funds and material, entrusting carrying this out to the Royal Juridical Academy, then the most prominent scientific institution in Zagreb. The museum has gone through various phases of organization from its founding. On the very eve of the actual establishment of the National Museum, it was active within the just previously established Economic Society, and after the public presentation of the museum, it continued under the same aegis. Following a motion by the Sabor [Parliament], in 1866 it became the State Institute of Croatia, Slavonia, and Dalmatia, under the patronage of the Sabor and managed by the Academy. The museum was then separated into the Archaeology and Natural History Departments. The Archaeological Department was declared an independent institution within the National Museum in 1878. This department actually became an independent museum only in 1939 (as did several others), and the National Museum ceased to exist in its previous form. These changes in the legal status of the museum caused no difficulties in terms of the continued enrichment of its collections, which was partly the reason for various changes in its location. After temporary accommodation of the first few acquired monuments and collections on the premises of the Economic Society in the mansion of Baron Rauch at 2 St. Mark's Square, or rather in available space at the Juridical Academy in St. Catherine's Square, and later in the first museum building, the previously mentioned National Hall, at the beginning of the 1880s the archaeological collections were transferred to the cramped quarters of the newly constructed Academy mansion at Zrinski Square. The Archaeology Department of the National Museum, later the Archaeological Museum, despite a series of (unsuccessful) attempts to construct a new museum building, remained there to 1945. The museum was then moved to the Vranyczany-Hafner mansion at 19 Zrinski Square, where it remains today. The museum collections, today consisting of more than 450,000 varied artifacts and monuments, have been gathered over the years from many different sources. Most of this material in the first years and decades of museum activity was acquired through purchase or gifts, and a major role was played by the "museum representatives", who were active in the field throughout all of Croatia. As early as the 1880s, the museum began systematic archaeological excavations in various Croatian regions, acquiring in this manner abundant material, and at the same time valuable data for studying the everyday life of the inhabitants from the prehistoric age to the mediaeval period. Today, field excavations are the main means of gathering such material and data. The most recent museum activities in this field include the systematic excavation and conservation (in the form of archaeological parks) of Roman urban architectural complexes at Scitarjevo near Zagreb (Andautonia) and at Varazdinske Toplice (Aquae Iasae), while other scientific staff of the museum are excavating sites in the Zumberak area and at Stenjevec near Zagreb, as well as at various other archaeological sites in the continental sections of Croatia, mainly in the Zagreb metropolitan area. The Conference is organized by the Archaeological Museum in Zagreb (AMZ) and the European Association of Archaeologists (EAA). This international conference on the management of archaeological heritage tourism Sense and Sustainability is one of the actions of the project Monumentalized Early Iron Age Landscapes in the Danube River Basin (acronym: Iron-Age-Danube, project code: DTP1-1-248-2.2, co-financed by EFRE).